On December 24, 2013, in Diatchenko v. District Attorney for the Suffolk District, the Supreme Judicial Court held that the imposition of life without parole sentences on juveniles is unconstitutional. Diatchenko was convicted of first-degree murder for killing a man in 1981, when Diatchenko was just seventeen. At that time, all seventeen year olds accused of a crime were treated as adults, therefore Diatchenko was tried as an adult. Further, under G. L. c. 265, § 2, a first-degree murder conviction carries a mandatory sentence of life in prison without the possibility of parole. Therefore, following the conviction, Diatchenko was sentenced to life without parole. Diatchenko subsequently appealed the conviction. The appeal included the claim that his sentence violated the 8th and 14th Amendments to the United States Constitution and Article 26 of the Massachusetts Declaration of Rights, all of which prohibit cruel and unusual punishment. Diatchenko’s conviction was reviewed by the SJC and was ultimately affirmed, becoming final. 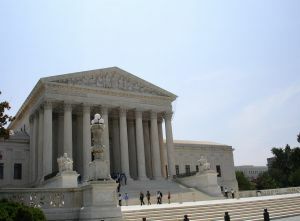 Thirty years later, however, on June 25, 2012, the United States Supreme Court issued a decision in Miller v. Alabama. Miller held that mandatory life sentences for defendants who committed crimes when they were under the age of eighteen are illegal because they violate the 8th Amendment’s prohibition against cruel and unusual punishment. In light of the Miller decision, Diatchenko filed a petition challenging the constitutionality of his sentence under G. L. c. 265, § 2, and seeking a declaration that Article 26 categorically bars the imposition of a sentence of life without parole for offenders who were under the age of eighteen when they committed first-degree murder. In deciding Diatchenko’s petition, the SJC first addressed whether the rule set out in Miller is retroactive – i.e., whether the rule should apply to convictions that became final prior to the Supreme Court’s decision in Miller. The SJC acknowledged that a new constitutional rule is not generally retroactive, but went on to state that there are two recognized exceptions to this rule. First, a new constitutional rule is retroactive if the rule is “substantive,” meaning that the rule prohibits a certain category of punishment for a class of defendants because of the defendants’ status, or the offense. Second, a new rule is retroactive if the rule implicates an issue of fundamental fairness and accuracy of the criminal proceeding. After deciding that the Miller rule applied retroactively, the Court went on to determine the constitutionality of Diatchenko’s sentence. The Court acknowledged that G. L. c. 265, § 2 clearly imposes a mandatory life sentence without the possibility of parole on individuals under the age of eighteen and therefore, in light of the Miller decision, Diatchenko’s sentence violates both the 8th Amendment prohibition on cruel and unusual punishment, and the analogous provision of the Massachusetts Declaration of Rights set forth in Article 26. The SJC also noted that the Miller decision did not entirely foreclose the imposition of a sentence of life in prison without parole on juvenile offenders, just the mandatory imposition of such a sentence. In particular, the Miller decision stated that on those occasions when a state seeks to impose life in prison without parole on a juvenile offender, there must be an individualized hearing to evaluate the unique characteristics of the offender and assess whether this punishment is appropriate in the circumstances. Following such a hearing, however, a judge could, in his or her discretion, impose a sentence of life in prison without the possibility of parole without running afoul of the 8th Amendment. Despite the fact that Miller left the door open for a discretionary sentence of life without parole for juveniles, the SJC declined to do the same. Stating that it had the authority to provide greater protections under the Massachusetts Declaration of Rights than are available under corresponding provisions of the Federal Constitution, the SJC held not only that mandatory life without parole sentences for juveniles were unconstitutional, but also that such discretionary sentences are constitutionally prohibited. The SJC specifically stated that “the discretionary imposition of a sentence of life in prison without the possibility of parole on juveniles who are under the age of eighteen when they commit murder in the first degree violates Article 26’s prohibition against ‘cruel or unusual punishment. '” The Court based its decision on the reasoning that the unconstitutionality of the punishment stems “not from the imposition of a sentence of life in prison, but from the absolute denial of any possibility of parole.” The Court went on to state that, “given the unique characteristics of juvenile offenders – particularly the fact that juveniles’ brains are not completely developed, and the fact that juveniles have a heightened capacity for positive change and rehabilitation – they should be afforded the opportunity to be considered for parole. Children charged with crimes are in a unique position in the criminal justice system – being charged as a juvenile rather than an adult can result in a more favorable outcome in a variety of different ways. If you have a child facing criminal charges, you will need an attorney who can make sure your child receives all of the protections he or she deserves under the law. Attorney Daniel Cappetta is an experienced juvenile defense attorney and he will work with you to get the best outcome possible for your child. Call him for a free consultation today.